One of the key concerns that we hear from people who are considering building a custom home revolves around the budget and timeline. When you’re building a home from scratch for the first time, how can you keep on budget and on time? Some customers fear that the process is so complex they’re sure to spend more than they want and take much longer than they intended. How Much Does Building a Custom Home Really Cost? Not surprisingly, one of the most common questions people ask when considering building a custom home is: How much does it cost? The answer is, of course: It depends. There are so many factors that go into calculating the cost of building a custom home that it can be difficult to predict the total price until the project is finished. However, by understanding all of the associated costs, and by working with an experienced builder, you are better able to predict the total price tag and ensure that you stay within your budget. Building a custom home is a surefire way to wind up with exactly what you want, from the location to the floor plan, the finishes, and those special features you’ve always dreamed of. But many home buyers worry that choosing the custom route will blow their budget. After all, isn’t customizing a home much more expensive than selecting a production house? Buying Your First Home? Get Ready for a Real Shocker. You’re finally ready to take the leap. Your first home. You’re ready to say goodbye to apartment life and hello to your own home, your own kitchen, your own backyard where you can host your own summer barbecues. No rent hikes. No noisy neighbors on the other side of the wall. No more boring white walls. Sure, the thought of owning your own home is a bit scary (everyone feels that way). But it’s time. You’re ready. Home values are up. Rates are still at historic lows. That means that now could be a great time to sell your existing home and finally design and build your dream home. Maybe that means a larger home to accommodate your growing family, a better neighborhood with a more desirable school district, or downsizing to a smaller home with a mountain or waterfront view. Do you envision designing and building your dream home, but are concerned that your reality-sized budget won’t stretch far enough to create a home you’ll love? If so, we have great news. 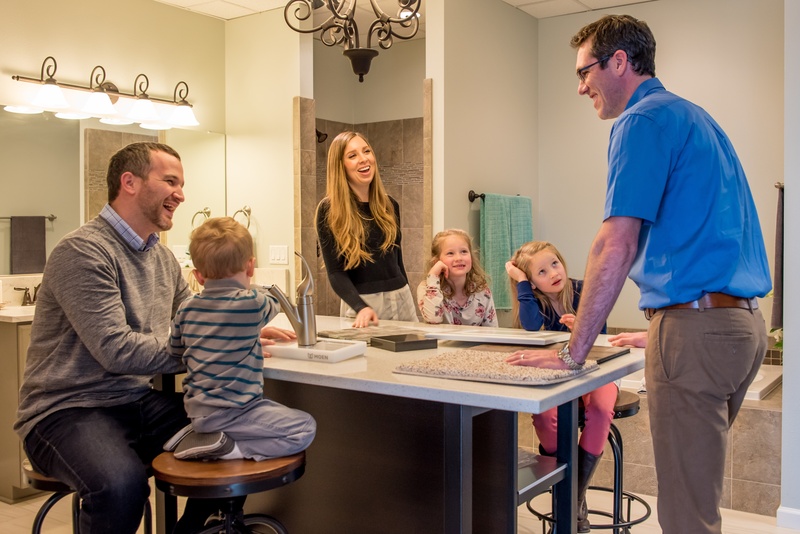 For a limited time, you can receive up to $6,500 in upgrades* when you build with Adair Homes during our Spring Savings event.